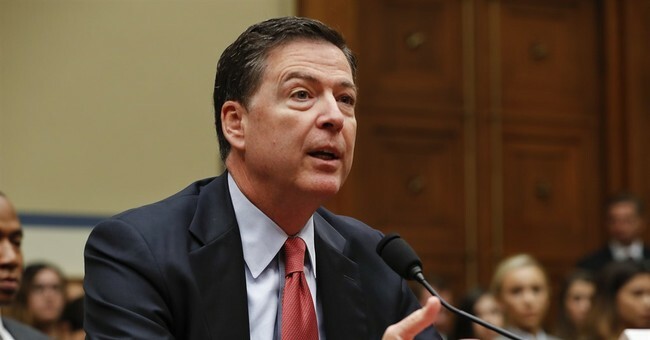 On July 5, Comey unveiled the devastating details from the investigation, including citing that Clinton and her team were “extremely careless” concerning handling classified information. There were also 110 emails on 52 separate chains that were determined to have classified information on them. If anything, Comey offered an indictment of Clinton’s judgment, which NBC’s Chuck Todd noted would make for an effective GOP attack ad that never came from the Trump campaign. The FBI found just three emails that were determined to be classified at the time they were sent and received, though they were not properly marked. Then, we had the revelation that Clinton didn’t know that “c” meant classified. Wikileaks’ Julian Assange disagrees, noting that Clinton certainly knew what those markings meant, as she’s an original classification authority as our top diplomat. Still, there are suspicious instances that were revealed prior to and after Comey’s July 5 announcement. For starters, how Bill Clinton delayed departure in Phoenix to ensure a run-in with Attorney General Loretta Lynch, who proceeded to have a meeting with Clinton on her private jet for about 30 minutes. Katie noted that FBI agents feel a deal was struck on that plane. The optics were enough to cast doubt on Comey’s presser held after Independence Day. We’ll see what comes of this, but it’s another episode in this apparent consternation between the agents and the FBI Director.